I've been a Scratcher for a while now -- almost 3 years to be precise. My brother is also a Scratcher, @elan5000. Most of my projects are pretty easy to make. I did recently finish a 32-level platformer. Who knows? I could make one with 64 levels!! Elan made one with 101 levels. 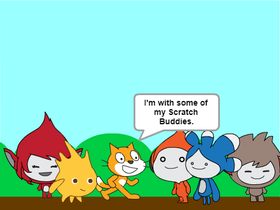 Scratch Wants to Save the World!